The government agency said in a letter to Congress that investigators found "substantial evidence of mismanagement, poor judgment, and institutional inertia leading to the belief by many tax-exempt applicants that the IRS targeted them based on their political viewpoints." However, the letter said that "poor management is not a crime." No one at the agency will face charges. "We found no evidence that any IRS official acted based on political, discriminatory, corrupt, or other inappropriate motives that would support a criminal prosecution," Assistant Attorney General Peter Kadzik wrote. "We also found no evidence that any official involved in the handling of tax-exempt applications or IRS leadership attempted to obstruct justice. Based on the evidence developed in this investigation and the recommendation of experienced career prosecutors and supervising attorneys at the department, we are closing our investigation and will not seek any criminal charges." In August, a bipartisan report from the Senate Finance Committee concluded that the IRS was "delinquent" in its handling of applications from conservative and Tea Party groups seeking tax-exempt status. In 2013, the IRS apologized for targeting groups named with the words "tea party" or "patriots." 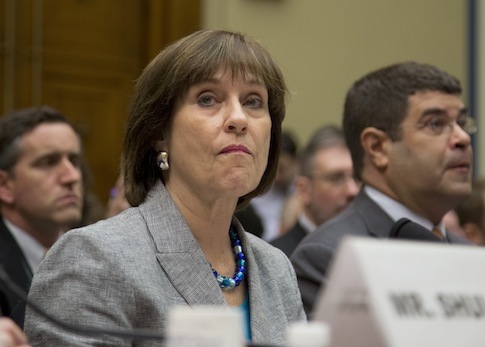 Lerner called it "absolutely inappropriate" behavior but insisted that it was not motivated by political beliefs. She resigned months later.